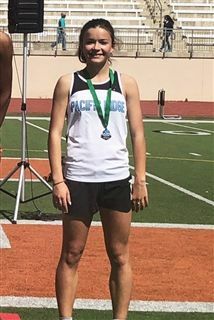 On April 7, a trio of track and field athletes competed in the Calvin Christian Small Schools invitational and brought home five medals! 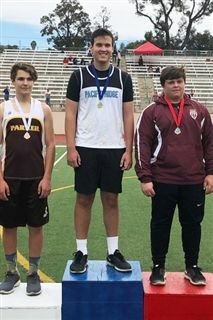 Daniel Harrell '20 was selected as the Frosh-Soph Field Event Athlete of the Meet for his first place finish in the discus and shot put. Katarina Maric '20 placed fourth and ran a 27.95 in her 200 finals, the second best time in the school's history! 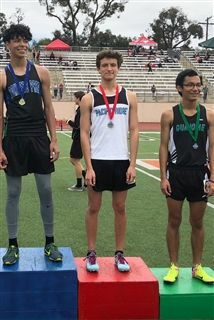 Jordi Bertran '18 earned two second place medals in the 110 and 300 hurdles.